Simmons College is a nationally recognized private university located in the heart of Boston. It offers undergraduate education for women, and renowned coeducational graduate programs in health sciences, education, liberal arts, social work, library and information science, and communications management, as well as the nation's first MBA program designed specifically for women. In April 2009, the $63 million Simmons College School of Management and Academic Building received Gold LEED certification from the U.S. Green Building Council, the campus' first. Formerly a parking lot, the building encloses the newly formed Simmons Quadrangle creating a new center for campus life and concealing a five-level 700-car subterranean parking garage below. Located at the new Simmons College - School of Management, this green roof patio is available to faculty and students to enjoy. Overlooking the quad, it is accessible from the fifth floor. A curving metal screen hides mechanical units on the roof. 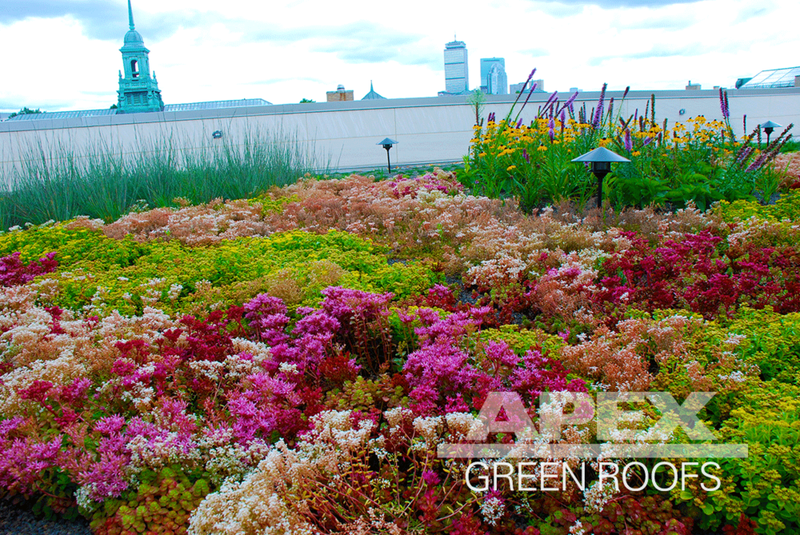 Installed in August, 2008 by Apex Green Roofs, the Roofmeadow Type II accessible green roof design has primarily drought tolerant sedum species with mounds of flowering perennials and grasses at deeper depths. 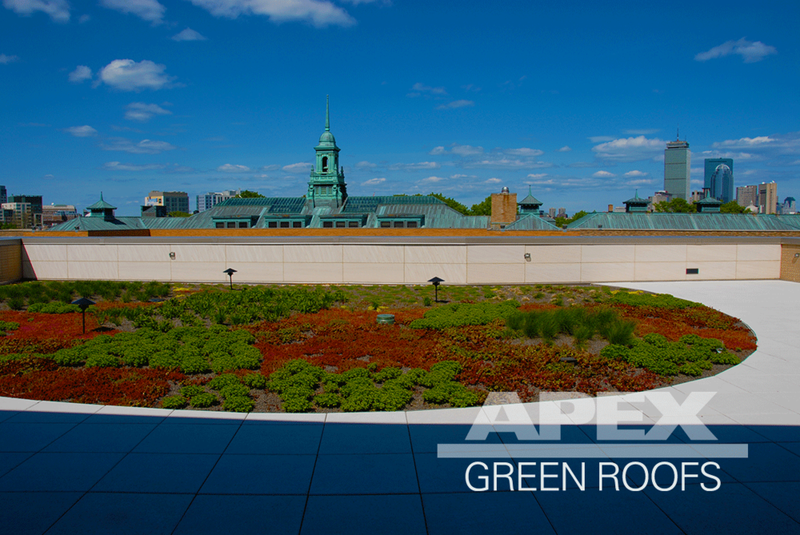 The semi-intensive greenroof system has a depth of 4"-8", established with sedum plugs and 1 gallon perennial pots. A powerful reflection of Simmons’ commitment to environmental sustainability and of their responsible stewardship of economic resources, the project has been included in Simmons College’s curricula in environmental science and ethics/philosophy, further enhancing their sustainable mindset.